1.1. The Council of Young Scientists (hereinafter - Council) of the Scientific Research Institute of Crop Husbandry of the Republic of Azerbaijan (hereinafter the SRI of Crop Husbandry) is a public organization, that’s established for the purposes of coordination and organization of scientific activities and assisting in augmentation of creative research and innovation activities of the young scientists and researchers who’s working at the Institute . 1.2. 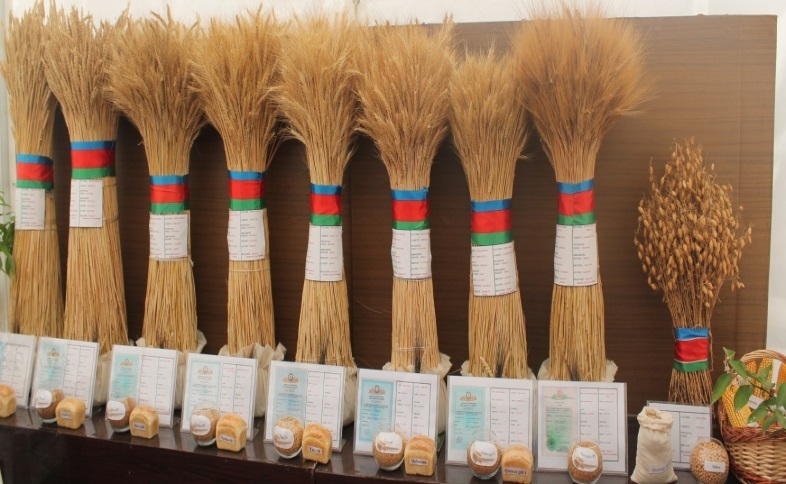 Activities of the Council regulates with: the legislation of the Republic of Azerbaijan in science and education and the Charter of the Scientific Research Institute of Crop Husbandry. 1.3. 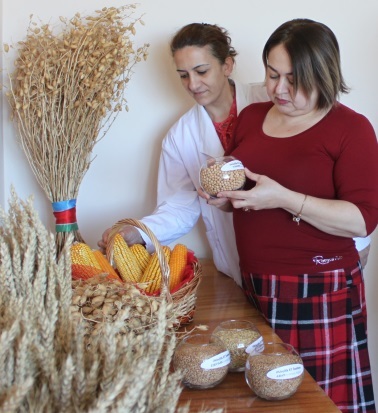 The Position is approved by the director, with the decision of the Academic Council of the Scientific Research Institute of Crop Husbandry and takes effect from the day of its signing. 1.4. Supplements and amendments of the Regulation, realizes by the Academic Council’s recommendation and takes effect after approval by the director. 1.5. The Council may have: full name, the specified logo, seal and letterhead. 1.6. The creation, liquidation or reorganization of the Council realizes by the director. 2.1. 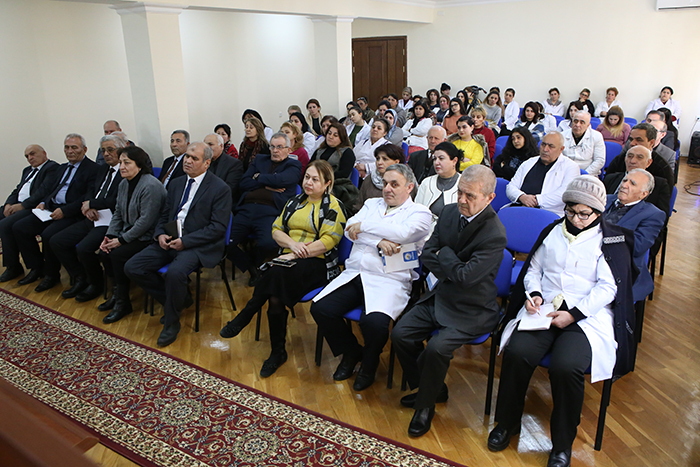 The aim of the Council is to engage the young scientists and researchers into research activities, improvement of their scientific and professional level, combining efforts for the purposes of addressing and working with the major scientific tasks, developing of creative capabilities and innovation activities. 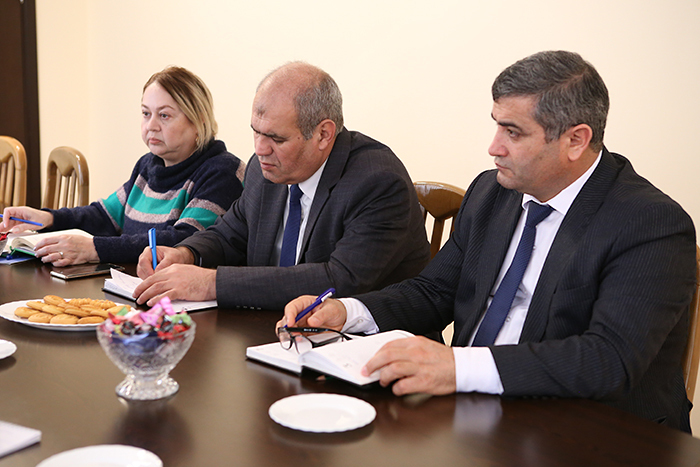 The Council of the Young scientists Coordinates activities for the purposes of creation of scientific research works at the different departments and laboratories of the scientific research Institute of crop husbandry and also on its experimental regional stations. The Council of the Young scientists coordinates activities of on the experimental regional stations and also helps to involve actively into fundamental and applied research works. The Council of the Young scientists organizes scientific conferences, seminars, field seminars, forums and exhibitions, where the young scientists and researchers take part. Engages the young scientists and researchers to participate in the national and international scientific conferences, seminars, congresses, forums, and exhibitions. 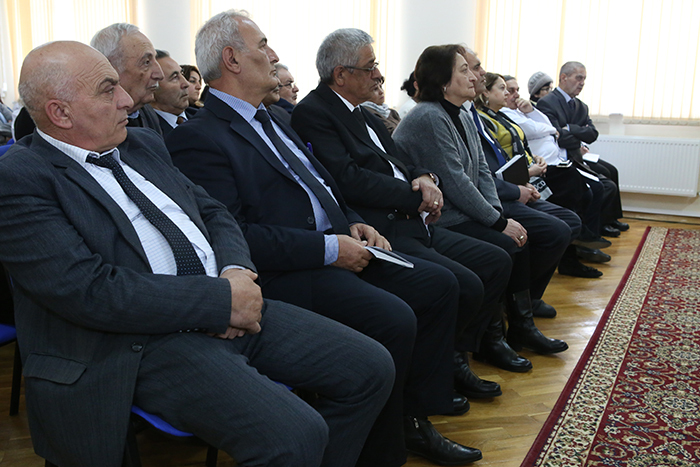 The Council protects and promotes academic interests of the young scientists. 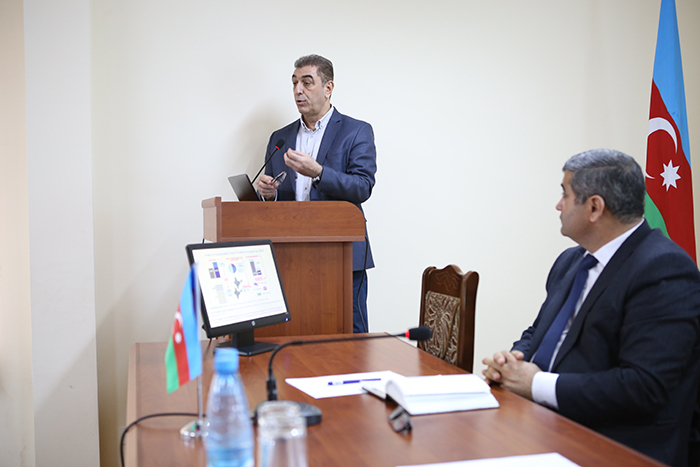 The Council of the Young scientists organizes and implements connection with the various institutes of the Ministry of Agriculture of the Azerbaijan Republic and also with the councils of the young scientists, who works at the different scientific organizations of the Republic. The Council of the Young scientists studies, analyses, implements and distributes a positive experience in the field of scientific researches and innovations that’s gained at the SRI of Crop Husbandry, at the scientific and educational institutions of the Republic and foreign countries. The Council of the Young scientists helps in organization of the public, scientific, cultural events. 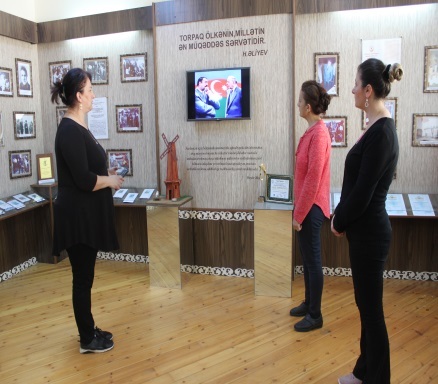 The Council of the Young scientists provides, cultural development of the young scientist by involving them into various, national and international events. The Council of the Young scientists creates a database of, the scientific-research works and projects of the young scientists and researchers of the Institute. The Council of the Young scientists also executes other activities which aren’t inconsistent with the law of the Republic and the position. 3.1. The Council organizes from the young scientists and researchers of the Scientific Research Institute of Crop Husbandry. By saying the young scientists and researchers, we mean, the scientists up to 40 years who works and study at the Scientific Research Institute of Crop Husbandry. 3.2. 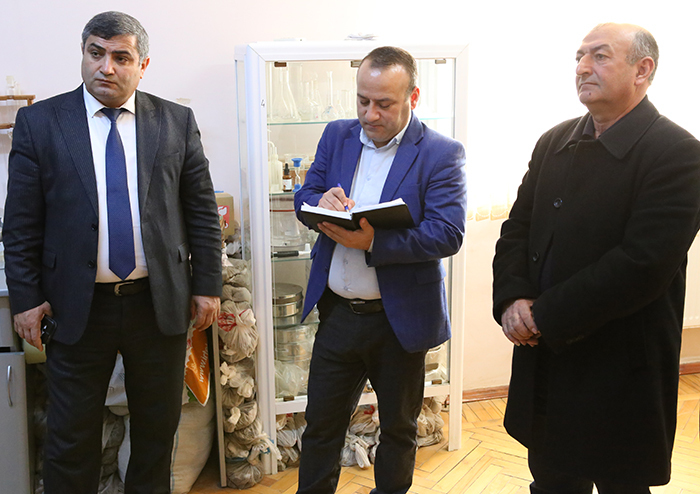 The board of the Council consists of the young scientists and researchers, who’re working at the SRI of Crop Husbandry and also at the Regional Experimental Stations of the Republic. 3.3The board of the Council was approved by the director and valid for 5 years. 3.4. The Chairman is only, who is in charge of the activities which are carried out by the Council. The Chairman elects with a way of open or secret ballot and approves by the director. 3.5. The Chairman of the Council organizes the tasks according to the annual work plan and in addition to that he/she also represents the Council in a various public and governmental organizations and coordinates its activities. 3.6. The Vice-Chairman is appointed by the Chairman of the Council and he/she can manage the activities of the Council on behalf of the Chairman and takes its responsibilities if the Chairman is absent. 3.7. The Secretary of the Council is also appointed by the Chairman and responsible for documentation. 3.8. The members of the Council actively take part in the activities and enforce for realization of the taking tasks. 3.9. The members of the Council sacks, if: they’re not involved in the activities of the Council, don’t execute normally their responsibilities / obligations and seen as an obstacle for the Council. 3.10. The highest management organ of the Council is the General meeting. The Board meetings held at least once per month and for making decisions on the major tasks, two-thirds of the Council members have to present at the meeting, more than half of the participants should vote for accepting the resolution. 3.11. An extraordinary meeting can takes place on the basis of written requirements of two-thirds of the Council members. 4.2. 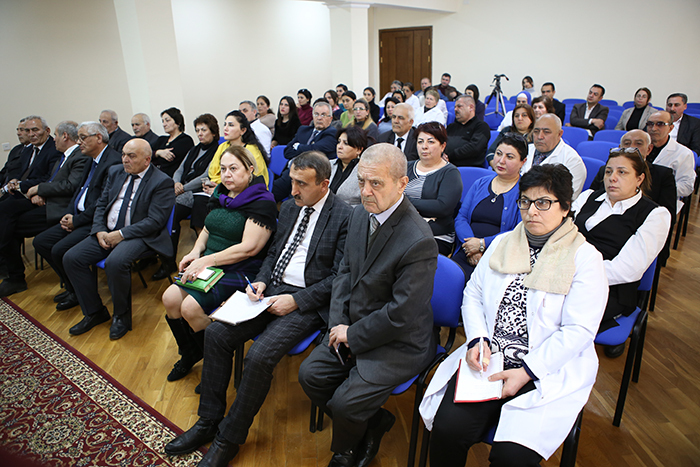 Taking part in the events (meetings) that have been organized by the heads of the Institute relating to the activities of the Council. 4.4. Must inform the heads about any problems and shortcomings that have been aroused during the managing period of the Council and also suggest their solution. 4.5. Gives suggestions, for the purposes of improving the activities of the Council that’s defined by this position. 4.6. Gives proposals and recommendations related to rewarding and improving the living conditions of the distinguished young scientists. 4.7. Gets acquaintance with the decisions related to its activities. 5.1. The members have to be disciplined and compliance with the moral and ethical standards of the SR Institute of Crop Husbandry. • Other sources which are not prohibited by the law.